Chapter 1: Whirling Arms and the First Wind Tunnels. On the End of a Whirling Arm. The Wright Brothers Put It All Together. Chapter 2: A Heritage Lost and Regained. The Wind Tunnel Comes of Age. An Earthbound American Aeronautical Pioneer. Europe's Second Generation of Tunnels. What Was America Doing All This Time?. NACA Wind Tunnel No. 1. The Variable Density Tunnel and Scale Effects. Chapter 3: Through the Barnstorming Days to World War II. Building a Wind Tunnel Complex at Langley. NACA Cleans Up Aircraft Designs. A Depression Bargain: The Full-Scale Tunnel. Wind Tunnels Accelerate to Mach 1. The First Big High-Speed Tunnel. Free Flight of Wind Tunnel Models. Chapter 4: Proppellers to Jets: The impetus of World War II. The War-time Tunnels at Ames. Filling a Wind Tunnel with Water. A Sixteen-Foot Twin on the East Coast. "Hot Jobs for a Cold Tunnel". Chapter 5: The era of High-Speed Flight. How Supersonic and Subsonic Tunnels Differ. The First Round of Big Supersonic Tunnels. Ballistic Missiles and Spacecraft Penetrate the Hypersonic Range. A Wind Tunnel Firing Range. A High Pressure Tank Farm at Langley. The Slotted Wall Revolutionizes Transonic Research. The Area Rule and the F-102 Story. New Round of Transonic Tunnels. Coordination and Cooperation: The National Unitary Plan. 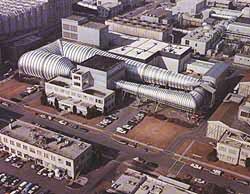 The Ames Unitary Plan Wind Tunnel Complex. A Small Tunnel for Fast Missiles. Testing Full-Size Supersonic Jet Engines. An Exercise in Wind Tunnel Complexity. Chapter 6: Wind Tunnels in the Space Age. How ICBMs Are Spared Thermal Destruction. New Goals as NACA Becomes Part of NASA. NASA Wind Tunnnels: Early Thoughts. Needed: Air Hotter Than the Sun's Surface. Types of Reentry test Facilities. Facilities Employing Test Gases Other Than Air. The Roles of Ames, Langley, and Lewis in Hypersonic Research. Hypersonic and Space-Oriented Wind Tunnels at Ames. Langley's New Space-Related Wind Tunnels. Testing a Hypersonic Ramjet at Lewis Research Center. Chapter 7: The Post-Sputnik Renaissance of Aeronautics. The New NASA Aeronautical Wind Tunnels. The Role of Wind Tunnels in Modern Aeronautical Research. Spacecraft in Terrestrial Wind Tunnels. Chapter 8: The Wind Tunnels of the Future. The demands of Near-Future Aerospace Vehicles on Wind Tunnels. The Next Generation of Wind Tunnels. A Wind Tunnel Is Only As Good is its Instrumentation. The Future Role of the Wind Tunnel. 1. Wind tunnels. I. Corliss, William R. II. Title.